The Love of a Mother | The Size of a Mustard Seed. Matthew 17:20. 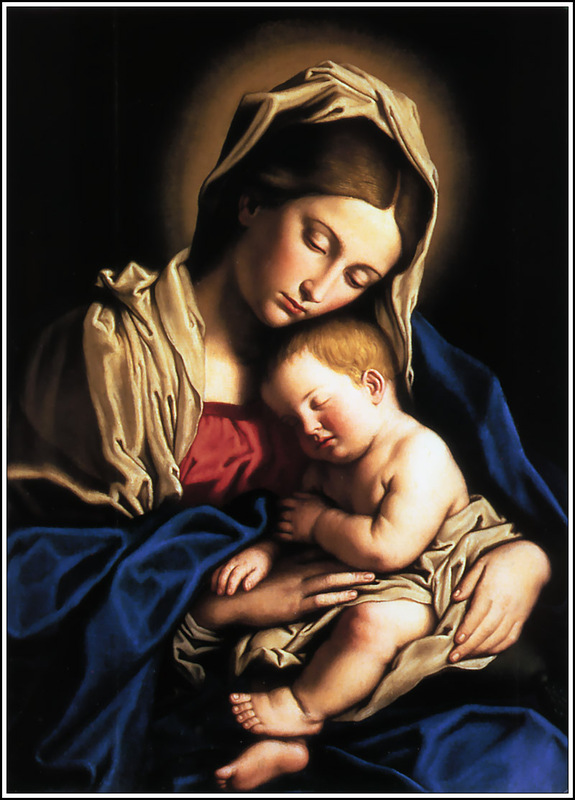 It is a well known fact that Mary was the mother of Jesus. But from this, we can be sure of something else, something immeasurably significant; that she was no ordinary mother. She was chosen by God to be the one who was to give birth to the Savior. Thus, she was immaculately conceived since she had to be totally pure to be able to carry out this mission. Of course, this did not take away from her free will, and when the Archangel Gabriel came to her with the glorious news that free will was tested. To this test, Mary responded with a resounding “yes”. From that moment on, she not only became our Lord’s mother but also our mother. Just like all the holy and wonderful mothers, she is our role model. Better yet, she is the role model of role models. In Mary, we find all that we as the Church should be. The steadfast trusting in God’s will, the love and surrender to our Lord, and the virtuous prayer life. This is only scratching the surface of the great virtues that we can imitate from the great mother of God. In my blessed experience of growing up as a cradle Catholic, the love and devotion to Mother Mary was always present in our family life. I am able to look back an pinpoint exact moments where I can see our Lady lovingly interceding for me. For all these moments I am forever humbled and grateful for such great love. Although, I do remember being younger and getting innocently stuck on the fact that I should be like Mary. Soon, I began to understand the beauty of imitating Mary. I began to see that as long as we strive to be like her, God will give us all the graces we need to be able to obtain her great virtues. In following her example, we are aiming to become like the Queen of all Saints. She is the one who is interceding for us, sending us graces so that she may be able to witness us reach the glory of eternity with her Son. Being that Mother’s Day was only a few hours ago, I thought this would be the perfect time to reflect on the great message of love that Mary wants us to hear. And on all the great graces we experience all because of her “yes” to our Lord. Also, since this is the month of May, I thought it would awesome to cover Mary and the saints’ lived whom she played such a huge role in. So this is going to be a week in honor of our Mother and her great love. So let us strive to be like Mary. To always pray for one another. To not be afraid of laying down our lives for Christ. To stay ever near to Christ. To trust God through suffering, praise him through blessings, and worship Him in His glory.